To combat the obesity and diabetes epidemic in the U.S. many experts have suggested that Americans reduce the amount of added sugar in their diets. Now a first-of-its-kind study directly links the syrup in sugary drinks to an increased risk of heart disease -- and it doesn't take much to cause problems. Dr. Kimber Stanhope, a nutritional biologist at the University of California, Davis, and colleagues conducted a study on 85 healthy people between the ages of 18 and 40. 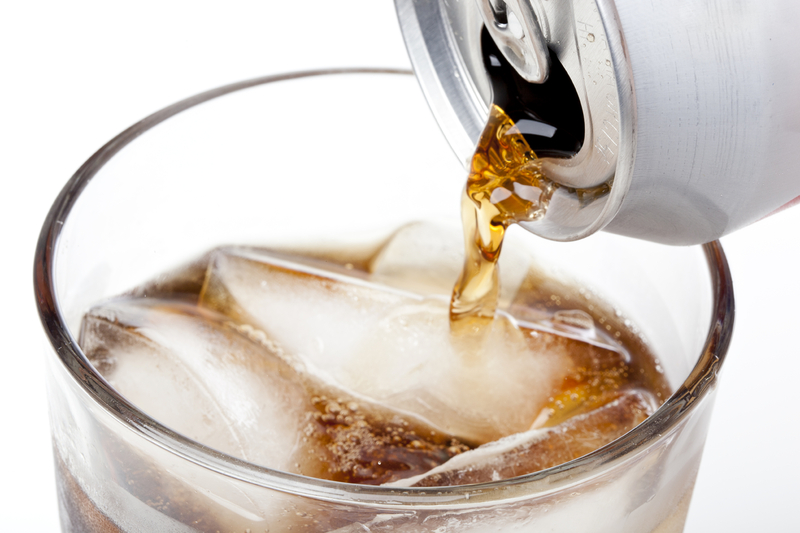 Researchers gave some participants drinks with varying levels of high fructose corn syrup. Others had sugar-free beverages. Blood tests were taken on an hourly basis to check for changes in levels of lipoproteins, triglycerides and uric acid -- all heart disease risk factors. Researchers found after only two weeks, those consuming drinks with high fructose corn syrup had significantly increased heart disease risk factors in the blood. The new study will be published in the June issue of the American Journal of Clinical Nutrition. The work reinforces results from an earlier epidemiological study showing that the risk of death from cardiovascular disease increases as sugar consumption increases. "I think our new data shows very convincingly that we as humans are very sensitive to the amount of sugar," said Stanhope, who has spent years researching the subject. In the study, heart disease risk factors increased as the dose of high fructose corn syrup went up, but even those who consumed the smallest level of added sugars -- 10 percent -- exhibited increased risk. Researchers noted that increases in risk factors were greater in men than in women, and that they happened whether or not the person gained weight. Stanhope told CBS News that when someone consumes fructose it enters the liver; fructose turns into fat and the fat gets sent into the bloodstream. Both the American Heart Association and the World Health Organization recommend people get no more than 5 percent of their total daily calories from added sugars. For someone on a 2,000-calorie diet, that's about 100 sugar calories or six teaspoons a day, the amount of sugar in a typical 6-ounce serving of vanilla yogurt. Stanhope said that the results highlight the need for further research to determine what would be prudent levels for added sugar consumption. She said that her next study will put fruit juice under the microscope.